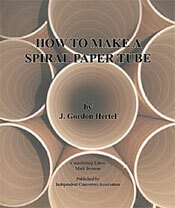 Just about anything that has to do with spiral wound paper products. We have the technology and experience to provide you with the highest quality machinery, at a competitive price. Check back for updates, videos, photos, and specifications on this new line of machinery.